When I found out I was pregnant, this was one of the first projects on my list. I have seen variations of this all over the web and knew I had to make my own version. I waited until we had the room painted before I decided on the colors. I went with a fade top to bottom from dark coral to white to aqua. It mirrors Baby Girl’s room perfectly. There are many tutorials out there but my favorite, and the most detailed, came from Boxy Colonial. Take a look at her tutorial if you want to create one of these for your self. I varied my technique just a bit, after I punched out all my card stock circles I used a good scrapbookers glue to hold the them together versus double-sided tape like she did. I also used embroidery thread to string my circles. To hang the strings of circles from the embroidery hoop I tied them on then used hot glue to secure them in place once I had the spacing correct. I wrapped the inside and outside of the hoop in ribbon to cover the string. I hung the mobile over the changing table in hopes Baby Girl will be mesmerized and won’t wiggle during changes…. (yeah right). Either way it looks great, you see it from the hall as you are entering her room. I love that I don’t have to remove this like a traditional mobile over a crib, it can stay there as she grows. Do you have a mobile for your baby? Tell me about it. Love this! So pretty Sarah! Thank you for linking up at Skip The Housework Saturday! I love the colors you used and it turned out really pretty. Visiting from Skip The Housework Sat. BTW-I think your G+ link isn’t working. I got an error when I clicked on the icon. Thanks for stopping by Erlene, and for letting me know about the link really appreciate it! That is SO adorable – have to try this – I have a few extra hoops laying around somewhere – and I’m pinning this so I don’t forget – LOVE !!! This looks great! I love the ombre effect, very cool. Thank you Lisa, I love how it looks against the wall colors. 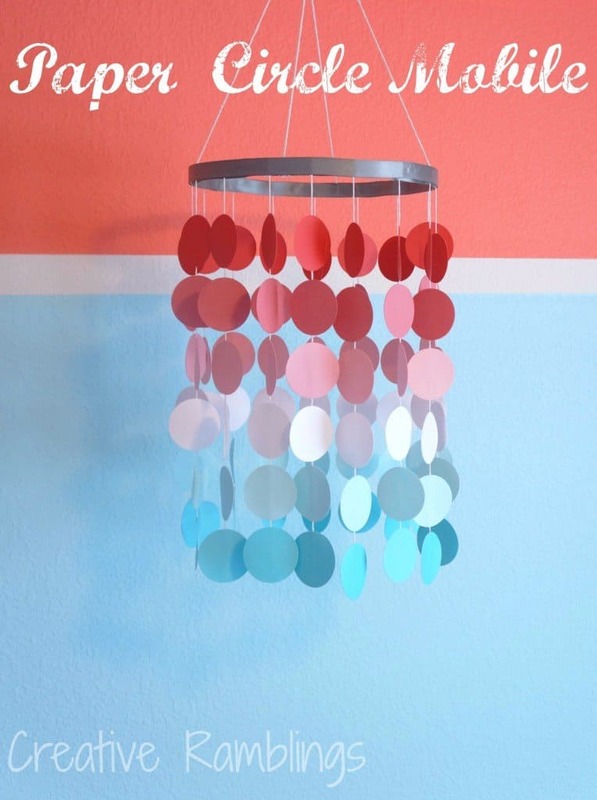 This is so pretty – having a baby in June…may have to make this!! Congratulations! Have fun with this project. 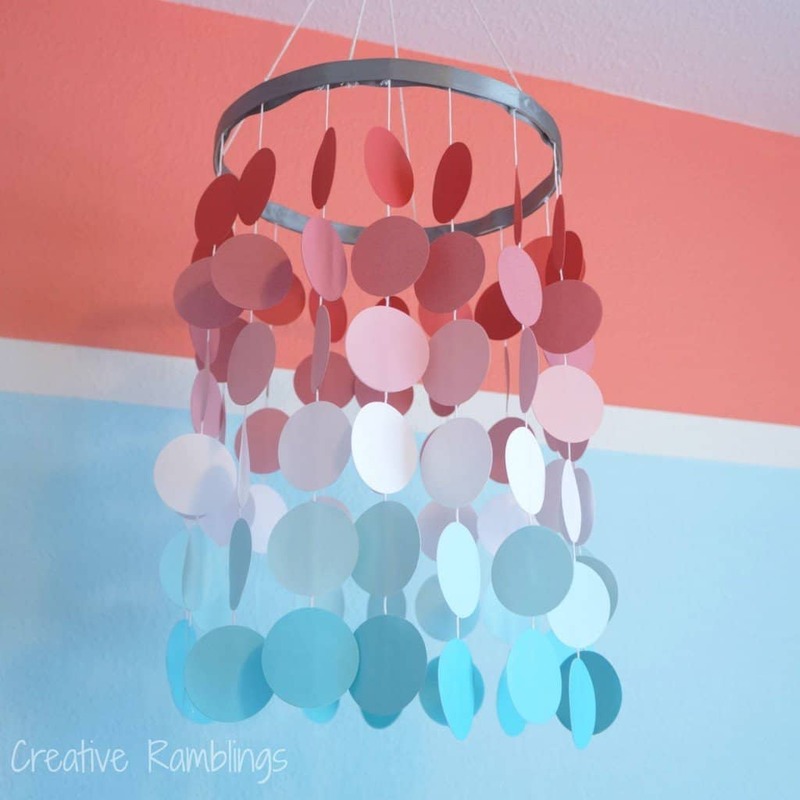 So creative and pretty for a baby girl’s room! Great job! Pinned! What a cute mobile! I bet your little one loves it too. 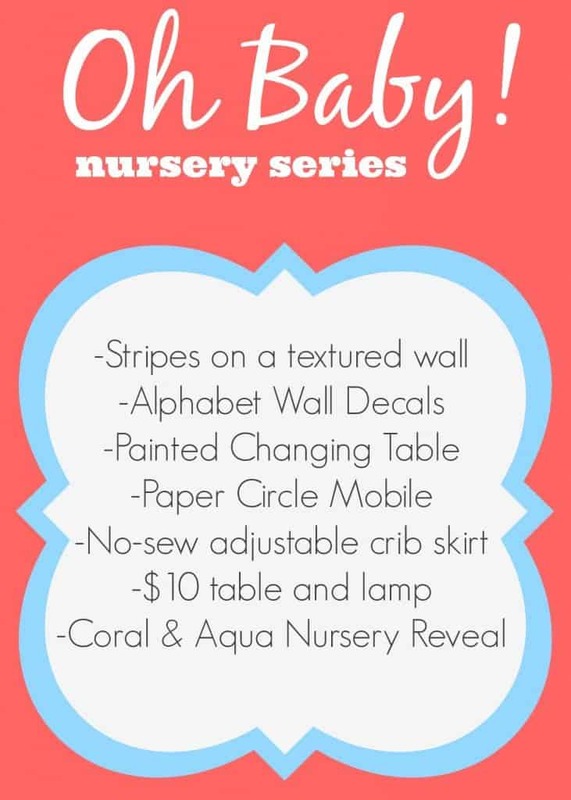 And I love the coral and aqua color combination you used for the nursery! Thanks Sharon, I am so in love with this color palette! 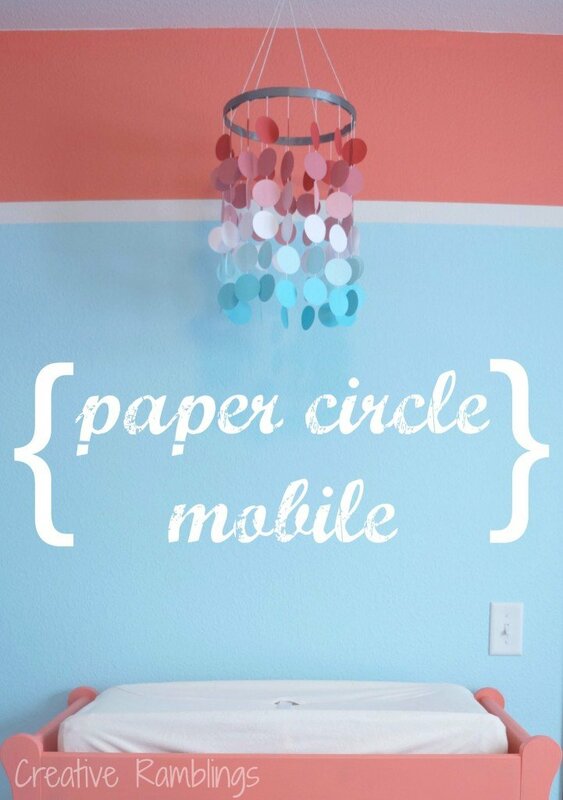 Hi Sarah, Thank you so much for linking up your beautiful paper circle mobile last week at the Link It or Lump It link party! I have picked your project as a feature. Come on over and grab a button and link up again. Thanks! Thanks Melissa! So glad you liked it. Thanks Teresa, I’ve had baby on my mind for a while and it shows in my posts! So happy you like the mobile, have a good one.